The right contact is the key for succesful event organization many times. To find the right catering provider company, musician or great conference place. For this purposes AddressBook has been included into NET.Notes EVENTS. 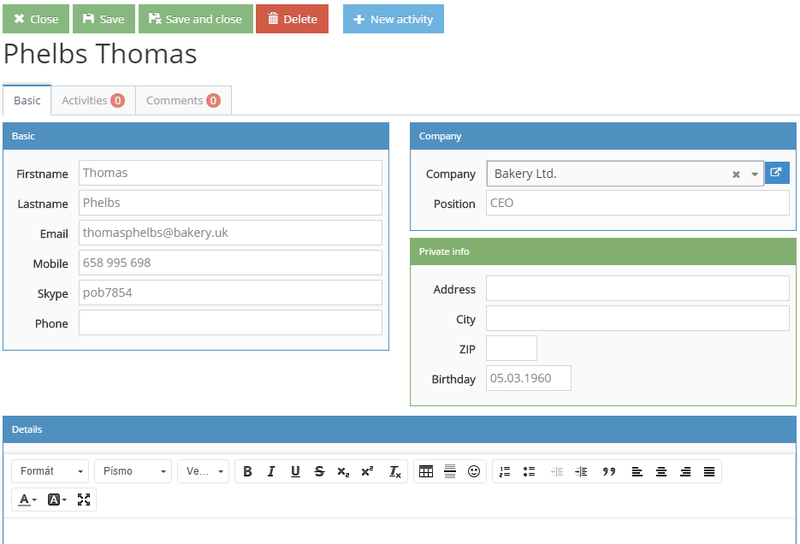 Users can easily maintain company or person contact information and attach contacts to todos. 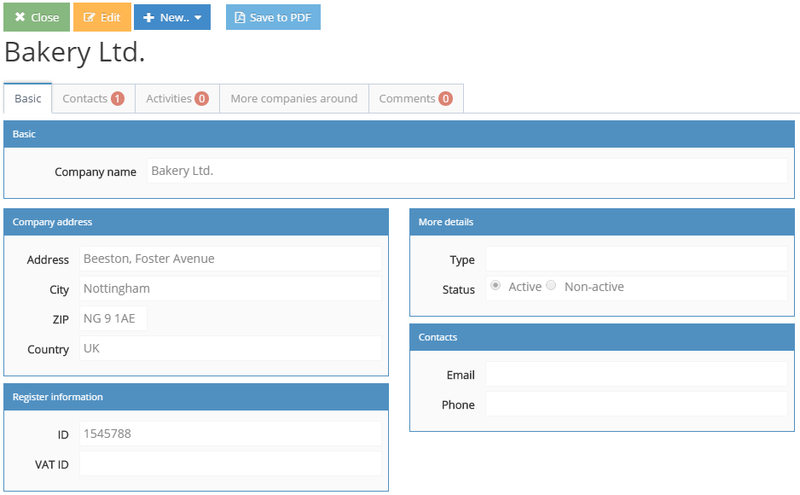 Each company maintains personal contacts with their names, emails and phones. Selected person can be invited to use NET.Notes EVENTS as ordinary users.